Although not the most common form of business ownership, corporations account for the majority of the revenue from business in the United States. In this section you’ll learn about C and S corporations and, a newcomer to the corporate scene, the benefit corporation. Over the past few decades, the boundaries between the public (government), private (business), and social (nonprofit) sectors have become blurred as many pioneering organizations merge social and environmental aims with business approaches. There are many expressions of this trend, including corporate social responsibility, microfinance, venture philanthropy, sustainable businesses, social enterprise, privatization, community development, and others. There are also new forms of corporate entities. One of the most widely established is the benefit corporation (B corp). In the U.S., a benefit corporation is a type of for-profit corporate entity, authorized by thirty U.S. states and the District of Columbia, that includes positive impact on society, workers, the community, and the environment—in addition to profit—as its legally defined goals. Benefit corporations differ from traditional C corporations in purpose, accountability, and transparency, but not in taxation. In April 2010, Maryland became the first U.S. state to pass benefit corporation legislation. The purpose of a benefit corporation is to create general public benefit, which is defined as a material positive impact on society and the environment. A benefit corporation’s directors and officers operate the business with the same authority as in a traditional corporation, but they are required to consider the impact of their decisions not only on shareholders but on society and the environment, too. In a traditional corporation, shareholders judge the company’s financial performance; with a benefit corporation, shareholders judge performance based on the company’s social, environmental, and financial performance. Transparency provisions require benefit corporations to publish annual benefit reports of their social and environmental performance using a comprehensive, credible, independent, and transparent third-party standard. 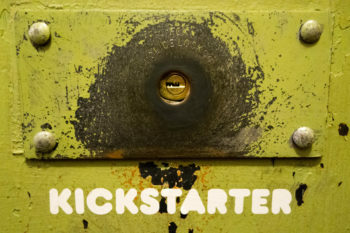 Some well-known examples of benefit corporations are Kickstarter, Patagonia, and King Arthur Flour. Businesses that want to take their social and environmental commitment even further can become a Certified B Corporation. This involves a rigorous assessment process by B Lab, which uses a survey to rate a company’s environmental practices, employee treatment, activism within its community, and other factors. Businesses that surpass a certain score are certified by B Lab, which then audits them from time to time to ensure that they are living up to the movement’s standards. "[B Lab certification] is like a Good Housekeeping seal of approval,” said David Murphy, former CEO of Better World Books, in a 2011 Business News Daily interview. “If your company is a Certified B Corporation, that really says something. You’re there to serve all those stakeholders, and you’re willing to prove it." Benefit corporations are treated like all other corporations for tax purposes. B corps elect to be taxed either as a C or S corp.
Protection of Mission. Becoming a benefit corporation gives companies more options and protections if they decide to sell the business to someone else or take it public, because other factors besides price (e.g., the public benefit mission) must also be taken into account. Reputation. Incorporating as a benefit corporation allows companies to stand out as businesses that have a social conscience and aspire to a standard they consider higher than maximizing profit for shareholders. For investors and consumers who are committed to social and environmental responsibility, benefit corporations provide additional choices. Creation of Value. Because it’s committed to considering other stakeholders’ interests, a benefit corporation may create value via employee engagement and customer loyalty, thereby improving results for all stakeholders—including the owners/shareholders. As well, certain profit-making opportunities may not be available without an assured commitment to other stakeholders. Transparency and Reporting Requirements. Benefit corporations must provide an annual benefit report according to a third-party standard (such as B Lab) and make the report available on their company Web sites. The purpose of this is to assess the company’s performance with regard to its public purpose(s). Annual Fees to Retain Certified B Corp Status. If a B corp elects to receive certification from a third party, such as B Lab, fees for “certified” B-corp status are based on annual sales, with a minimum of $500. To keep certification, the company must pay a renewal fee each year and recertify every two years. Compliance and Governance Obligations. Most states require publicly traded companies with a B corp designation to have a “benefit director” who is responsible for ensuring that the corporation meets its stated public purpose. As a matter of interpreting the word “person” in the Fourteenth Amendment, U.S. courts have extended certain constitutional protections to corporations. Some opponents of corporate personhood seek to amend the U.S. Constitution to limit these rights to those provided by state law and state constitutions. Corporations have unique status and rights in the American legal system. 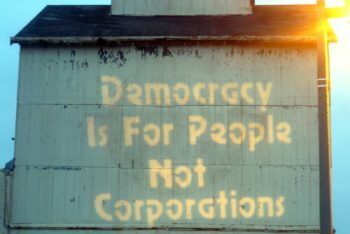 The legal provisions for such entities extend so far as to even include something called “corporate personhood.” Corporate personhood is the legal notion that corporations, apart from their associated human beings (like owners, managers, or employees), have some, but not all, of the legal rights and responsibilities enjoyed by natural persons (physical humans). For example, corporations have the right to enter into contracts with other parties and to sue or be sued in court in the same way as natural persons or unincorporated associations of persons. The basis for allowing corporations to assert protection under the U.S. Constitution is that they are organizations of people, and people should not be deprived of their constitutional rights when they act collectively. In this view, treating corporations as “persons” is a convenient legal fiction that allows corporations to sue and to be sued, provides a single entity for easier taxation and regulation, simplifies complex transactions that, in the case of large corporations, would otherwise involve thousands of people, and protects the individual rights of the shareholders as well as the right of association. Since the Supreme Court’s ruling in Citizens United v. Federal Election Commission in 2010, upholding the rights of corporations to make political expenditures under the First Amendment, there have been several calls for a U.S. Constitutional amendment to abolish corporate personhood. While the Citizens United majority opinion makes no reference to corporate personhood or the Fourteenth Amendment, Justice Stevens’ dissent claims that the majority opinion relies on an incorrect treatment of corporations’ First Amendment rights as identical to those of individuals. The legal status, rights, and responsibilities of corporations continue to evolve in response to cultural and economic pressures. The forms they take change over time, too. As you’ll see in our discussion of benefit corporations, some types of business are very recent developments indeed. A corporation (sometimes referred to as a C corporation) is an independent legal entity owned by shareholders. This means that the corporation itself, not the shareholders that own it, is held legally liable for the actions and debts the business incurs. This type of general corporation is called a “C corporation” because Subchapter C of Chapter 1 of the Internal Revenue Code is where you find general tax rules affecting corporations and their shareholders. A corporation is formed under the laws of the state in which it is registered. Because corporations are recognized as entities separate from their owners, the process is much more complex than establishing a sole proprietorship or partnership. The corporation must be “formed” and then recognized by the state’s Secretary of State office and/or State Corporation Commission. The way that corporations are “born” is through the filing of articles of incorporation with the state’s Secretary of State office. Some states require corporations to establish directors and issue stock certificates to initial shareholders in the registration process. For this reason, establishing a C Corporation can be expensive. Attorneys are often engaged to draft the initial articles of incorporation, shareholders agreements, stock option agreements, and other related documentation. Filing the articles of incorporation, establishing a registered agent, and issuing stock are also tasks that attorneys perform on behalf of those forming the corporation. As with other forms of ownership, once the corporation is formed, you must obtain business licenses and permits. Regulations vary by industry, state, and locality. If you are hiring employees, you will need to understand and follow federal and state regulations for employers. When you form a corporation, you create a separate tax-paying entity. Unlike sole proprietors and partnerships, corporations pay income tax on their profits. In some cases, corporations are taxed twice—first, when the company makes a profit, and again when dividends are paid to shareholders. These dividends appear on the shareholder’s personal tax returns and are subject to taxation. It is important to note that only income paid as dividends is taxed twice. Income distributed as salary or other compensation is a deduction for the corporation. This means that the amount of compensation paid is deducted from the amount of corporate income that is subject to taxation. Just like individuals, corporations are required to pay federal, state, and in some cases, local taxes. Instead of supplying a social security number for taxpayer identification, corporations must register with the IRS and state and local revenue agencies, and obtain a tax ID number. Ability to Generate Capital. Corporations have an advantage when it comes to raising capital for their business—the ability to raise funds through the sale of stock. Time and Money. Corporations are costly and time-consuming ventures to start and operate. Incorporating requires start-up, operating, and tax costs that most other structures do not require. Double Taxing. In some cases, corporations are taxed twice—first, when the company makes a profit, and again when dividends are paid to shareholders. Additional Paperwork. Because corporations are highly regulated by federal, state, and in some cases local agencies, there are increased paperwork and record-keeping burdens associated with this entity. An S corp is a corporation with the Subchapter S designation from the IRS. To be considered an S corp, you must first charter a business as a corporation in the state where it is headquartered. According to the IRS, S corporations are “considered by law to be a unique entity, separate and apart from those who own it.” This limits the financial liability for which you (the owner or “shareholder”) are responsible. Nevertheless, liability protection is limited—S corps do not necessarily shield you from all litigation such as an employee’s tort actions as a result of a workplace incident. Before you form an S Corporation, you must determine if your business will qualify under the IRS stipulations, and you must first file as a corporation. After you are considered a corporation, all shareholders must elect your corporation to become an S corporation. As with the C corp, this process can be complex, and it’s generally standard practice for an attorney with experience in corporate matters to guide the business owners/shareholders through the creation and registration of the S corp.
Like the C corp, S corps need to register with the IRS, register with state and local revenue agencies, and obtain a tax ID number or permit. However, unlike the C corp, all states do not tax S corps equally. Although most state taxing authorities treat them similarly to the federal government (IRS) and tax the shareholders accordingly, some states (like Massachusetts) tax S corps on profits above a specified limit. Other states don’t recognize the S corp at all, and they treat the business as a C corp with all of the tax ramifications. Some states (like New York and New Jersey) tax both the S corps profits and the shareholder’s proportional shares of the profits. Before deciding upon a corporate structure, business owners/shareholders need to check with an accounting professional to ensure that they make the proper election based on their state corporate tax laws. Business Expense Tax Credits. Some expenses that shareholder/employees incur can be written off as business expenses. Nevertheless, if such an employee owns 2 percent or more shares, then benefits like health and life insurance are deemed taxable income. Stricter Operational Processes. As a separate structure, S corps require scheduled director and shareholder meetings, minutes from those meetings, adoption and updates to by-laws, stock transfers, and records maintenance.